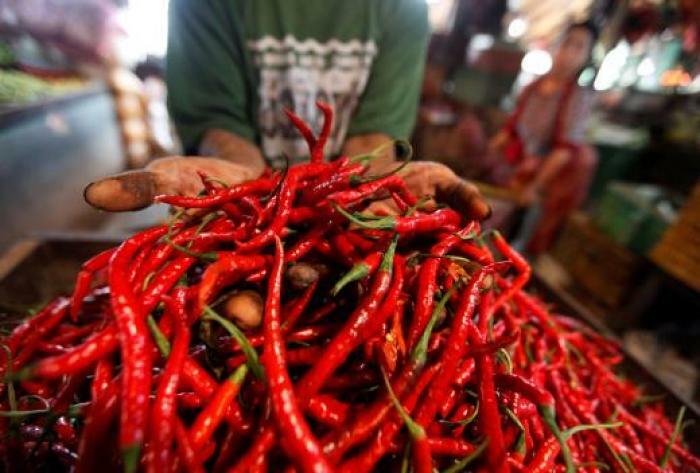 A new breakthrough in the search for a cancer cure has recently been released to the public as researchers have revealed that chili may be the next big thing that could help in the fierce fight against breast cancer. According to Mirror, scientists from the Ruhr-University in Bochum, Germany have discovered that Capsaicin, the active component that makes chili hot and spicy, has the ability to induce cell death and can also slow down the process of cancer cell growth. In the journal titled "Breast Cancer - Targets and Therapy," Dr. Lea Weber wrote: "Capsaicin is capable of inducing apoptosis (cell death) and inhibiting cancer cell growth in many different types of cancer, for example, osteosarcoma, colon, and pancreatic cancer cells, while normal cells remain unharmed." As stated by Dr. Weber, it's not just breast cancer that could be affected by Capsaicin. Even other cancer types may be largely impacted by this chili component. The process of chili affecting a cancer cell is as follows: As soon as Capsaicin gets to a cancer cell, the component will bind with the cell membrane. This will then activate TRPV1, which is a cell receptor. TRPV1, once triggered by the chili ingredient, will force the cancer cell to self-destruct. The self-destructing action doesn't stop there as more and more cells that are affected by the cancer die. The tumor will then halt its growth process. Dr. Weber further explained that Capsaicin's stimulation demonstrated a "significant decrease in the cell growth rate of MCF-7 breast cancer cells." The study was carried out through treating breast cancer cell samples from humans. According to Breastcancer.org, about 12 percent of women in the United States will develop invasive breast cancer. In fact, an estimated 246,660 new cases were expected to be diagnosed last year. While there's still no sure cure for the many cancer types present today, the latest news in the search for a solution may help ignite further studies on why chili can assist in the process of finally putting an end to the suffering of many.